It has been reported that Russian nationals are onboard a cargo ship hijacked off the Somali coastline. Interfax news agency has quoted a chief officer in the East African Seafarers Assistance Program, Andrew Mwangura, as saying that Russian citizens are staying aboard the St. James Park vessel. The British tanker was captured by Somali pirates on Thursday. It has a mixed crew, consisting of 26 sailors from Russia, Ukraine, Georgia, Bulgaria, Romania, the Philippines, Poland, India and Turkey, Mwangura said. The chemical vessel Saint James Park was en route from Spain to Thailand when it was captured in the Gulf of Aden. 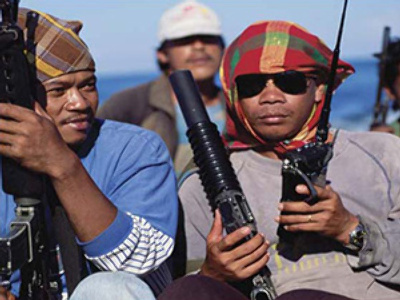 AP reported that the vessel transmitted a distress signal late Monday seeking help from pirate attacks. Shortly after, the vessel’s owner confirmed that it had been captured.